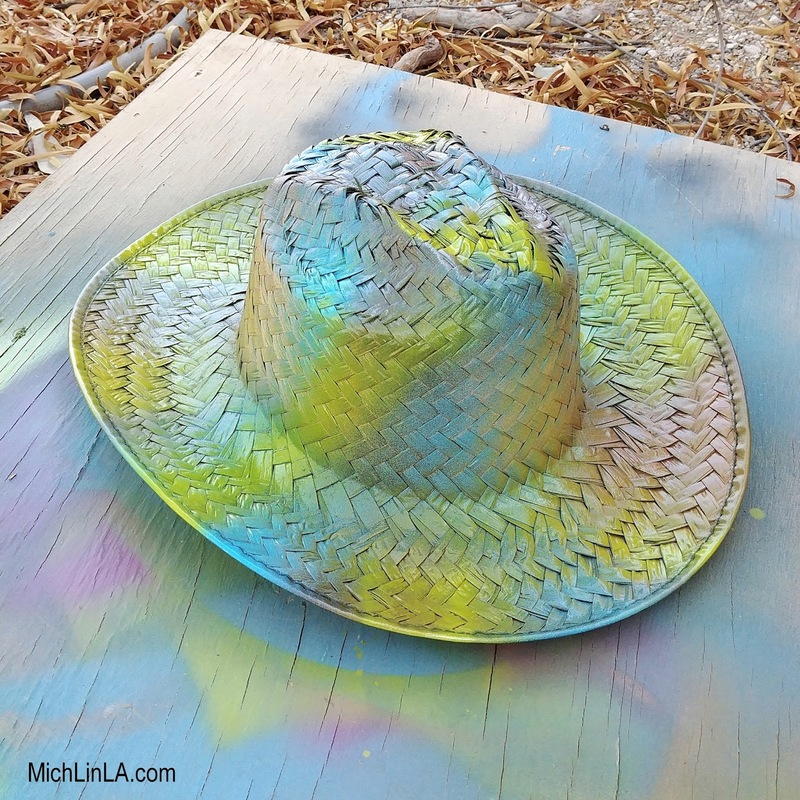 Mich L. in L.A.: Colorful Spray Paint Sun Hats! Colorful Spray Paint Sun Hats! 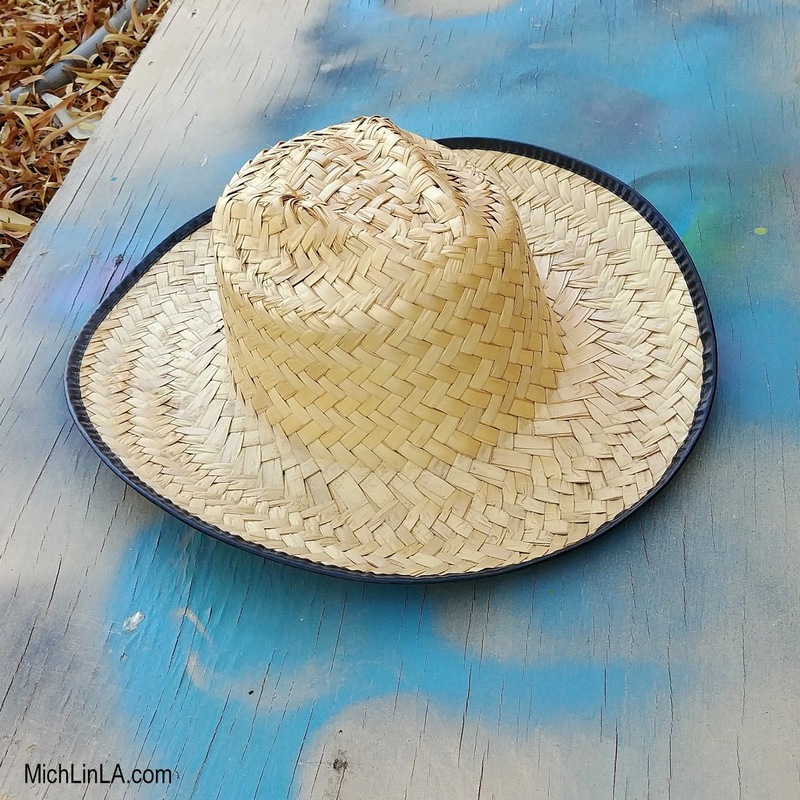 Here's a five minute craft for summer! Something fun and creative from the brain of my husband. 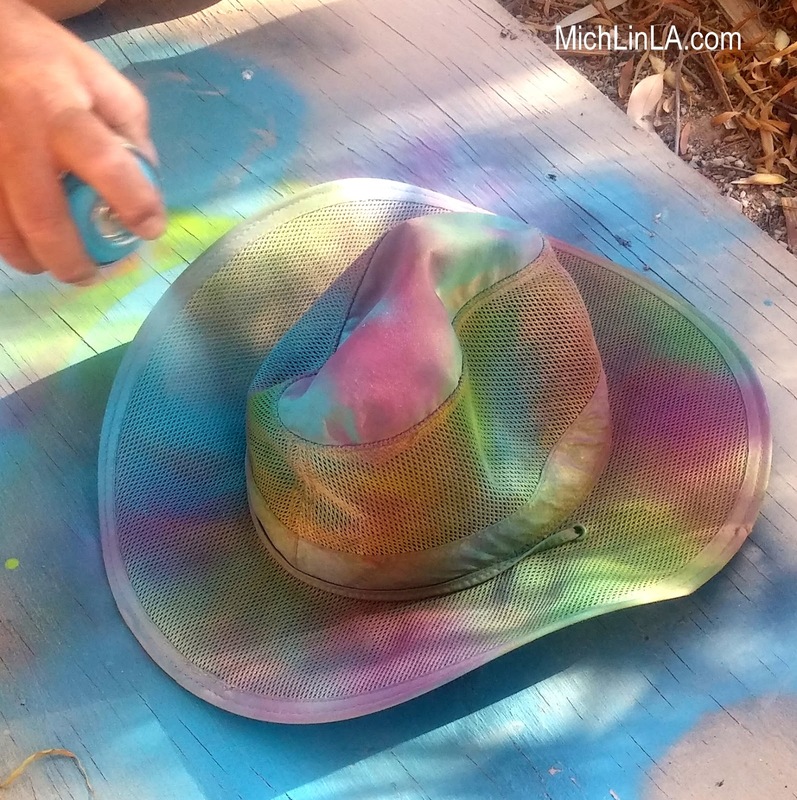 A psychedelic painted sun hat! 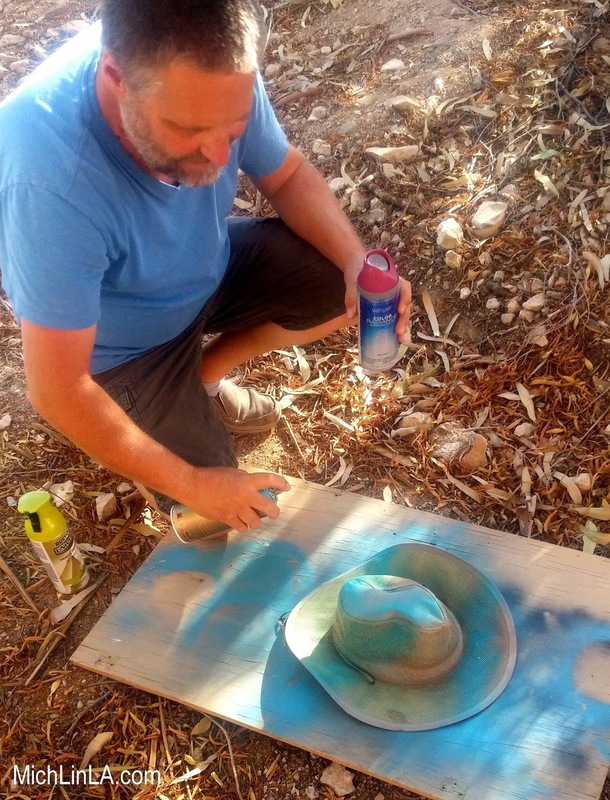 A few days ago I spotted him heading for the back yard, clutching three cans of spray paint and the hat. I grabbed my camera and followed. Isn't it awesome? His colors: teal, purple and bright chartreuse. I went with a slightly different color scheme - I kept the teal and chartreuse, but added touches of bronze and antique silver. 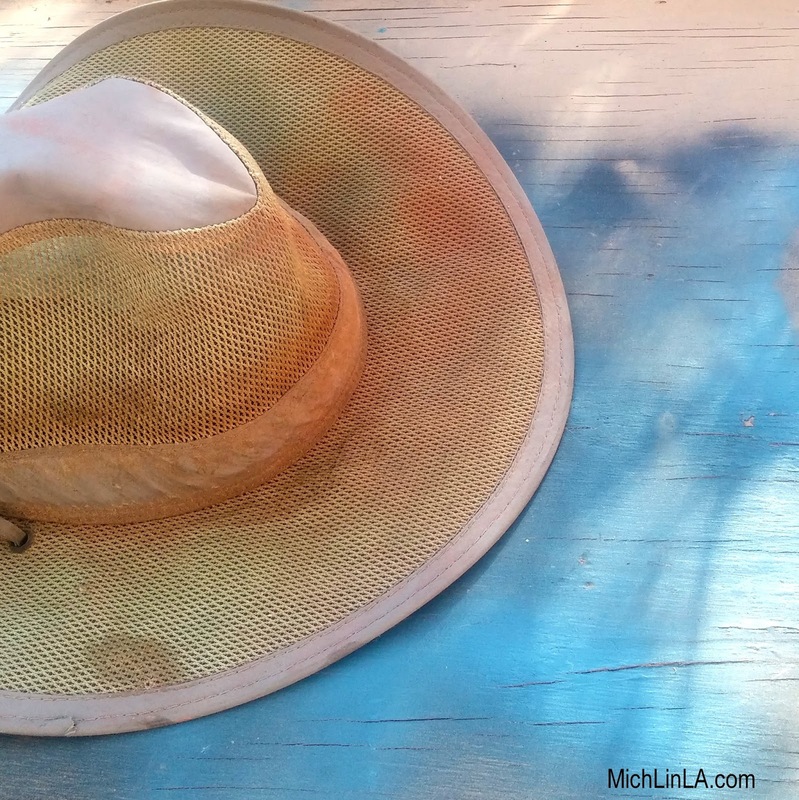 The paint dried in 10 minutes and the hats were ready to wear. They look super cute hanging in your house, too. *Start with just a light spray, don't blast on heavy coverage. (That way the hat will still breathe.) If you want deeper color, add one or two more very light coats. *Don't paint the underside - you don't want to wear spray paint against you hair or skin. Okie dokie, I hope you liked Jeff's quickie idea. Try it, have fun! 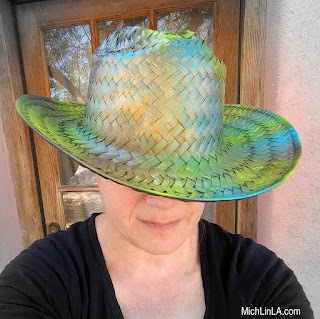 Give a sad old hat a whole new attitude. Nice way to revive that old hat and a good way to make a new plain one spectacular. Thanks for sharing. love it Mich, and so fun to see your husband in creative mode! thanks for sharing on craft schooling sunday! What fun, that poor old stained hat has a new lease of life. Perfect for summer with maybe a tie dye t shirt! Thanks so much for the sweet comment, Julie! 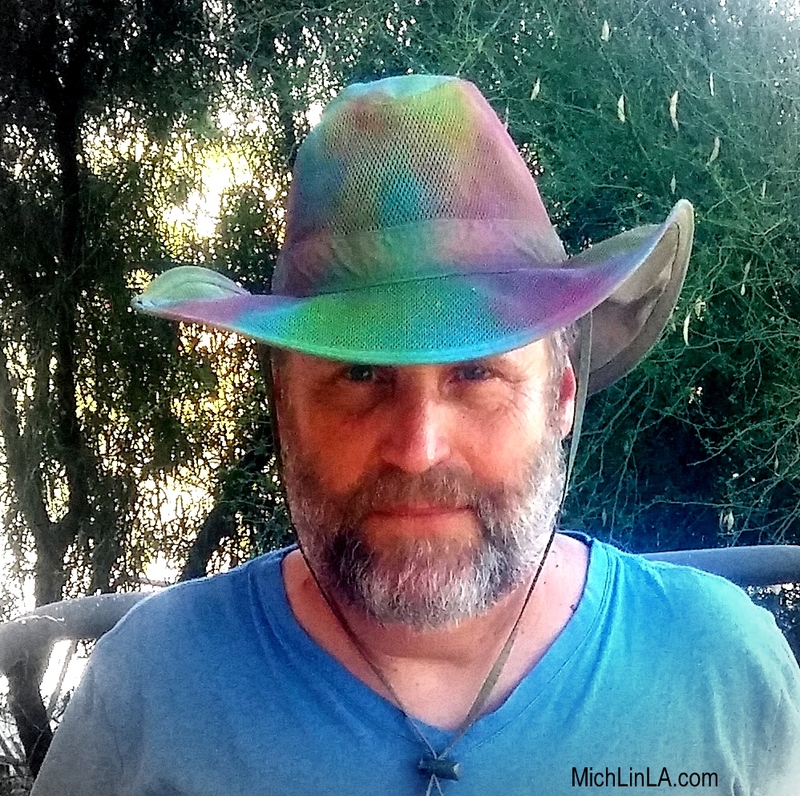 I agree, they have a very tie-dyed look to them - in fact I almost named the post Tie Dye sun hats. Super cute idea! 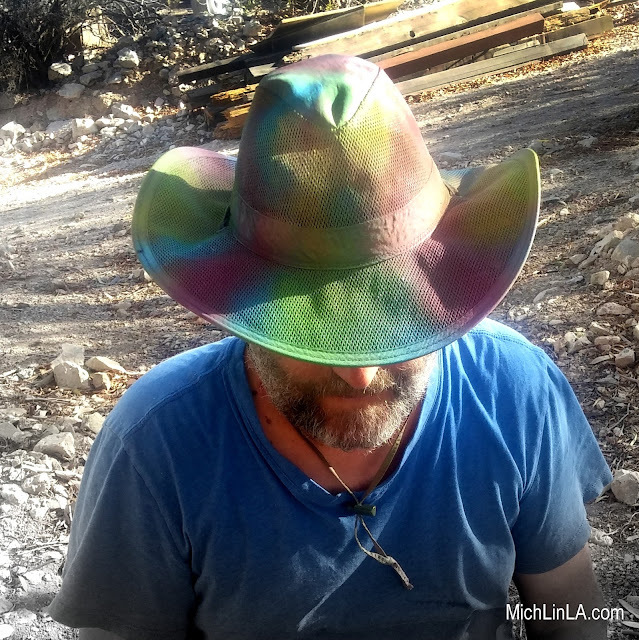 I love both psychedelic hat! Fun Summer colours! Thank you, Ana! I'm happy you liked the crazy hats, I am having fun wearing them and receiving smiles! This is such a creative idea! What a wonderful way to bring new identity to an old (or new) hat; brilliant! 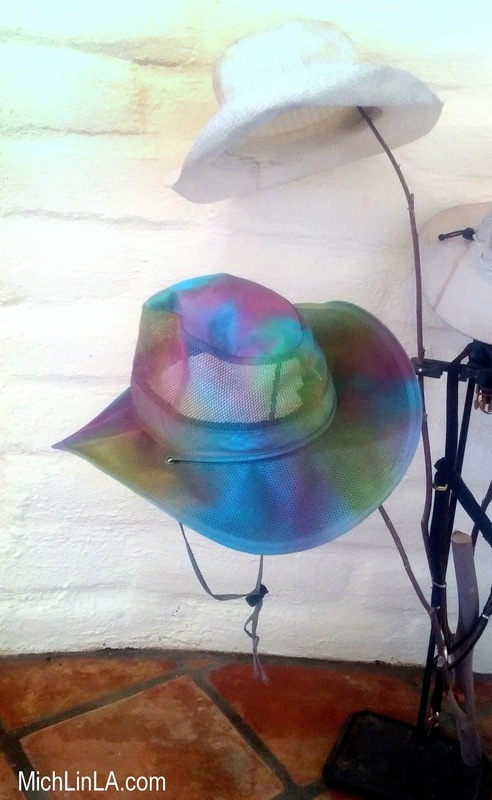 Thank you for sharing your inspirational style with Hat Attack! Great idea, Michelle! I love it!!! Kisses, my friend.